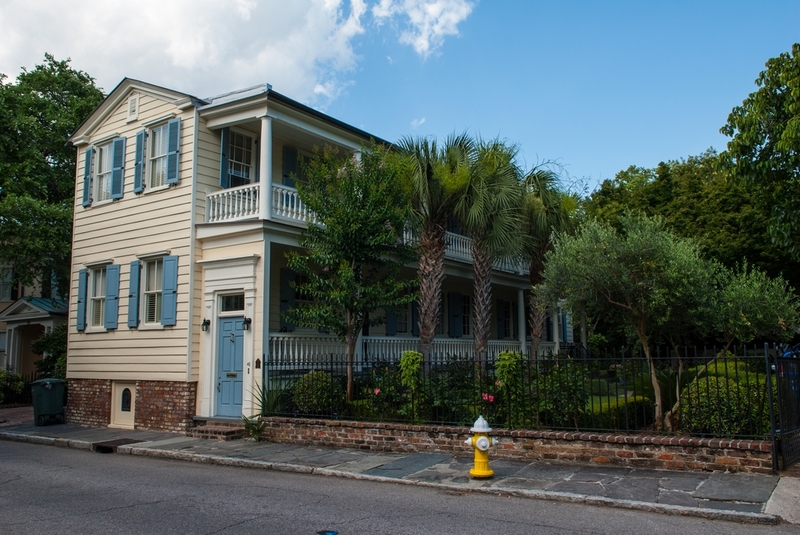 There are a LOT of extremely interesting historical sites up and down the East coast. After Craig and Lili's wedding, we took advantage of being further South than we normally go to tour some of them. 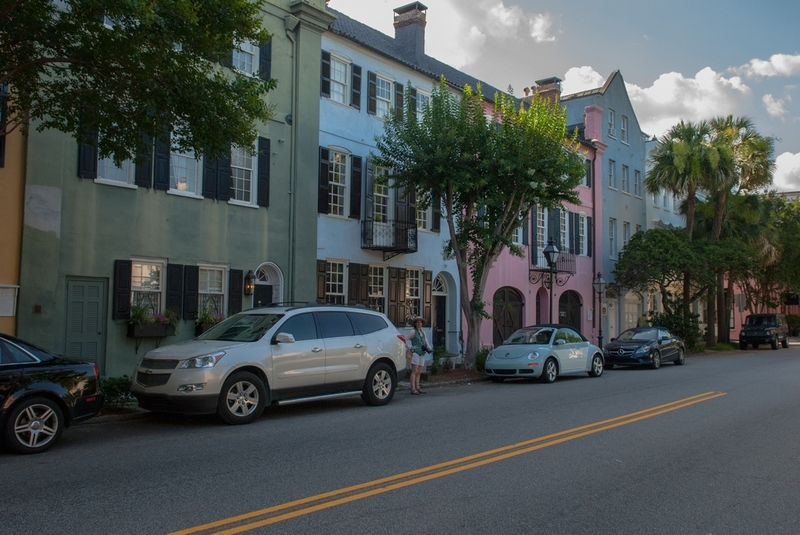 Our first stop was Charleston SC. 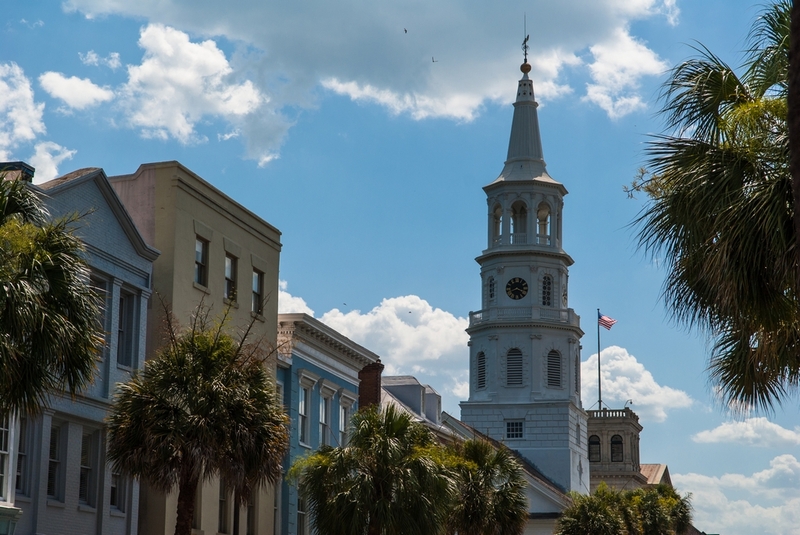 Charleston itself is a great city to visit. It can be very hot, however! When we were there in June 2015, the temperature stayed about 100' F. Neither Anne nor Paul is a big fan of heat. But we still enjoyed our touring. By the way, if you visit Charleston and like Indian food, we found a very good restaurant called Taste of India (two locations, on 17 & on 7). I would also like to give Kangaroo Express (merged with Circle-K now - hope that works out!) a shout-out for having a great set-up for beverages to help out travellers. 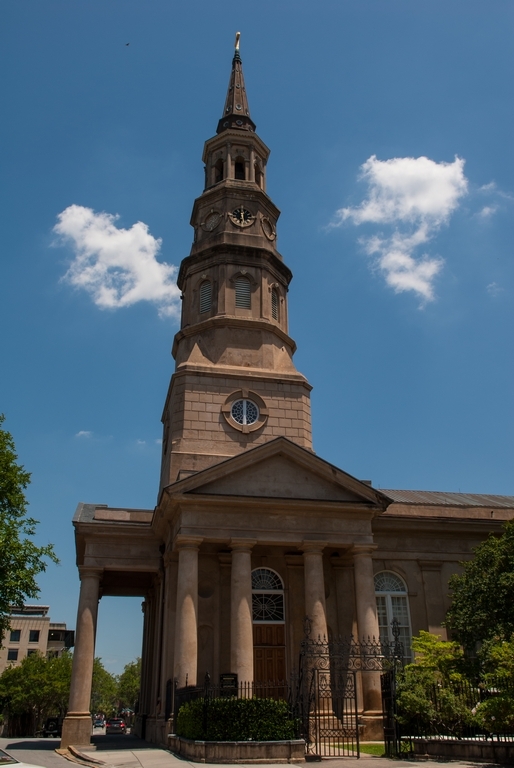 There are many old churches in Charleston. The one that is considered the oldest congregation is St. Philips. The sign at the church shows that it was established in 1680, which according to Wikipedia is also the year the city moved from its old location. The current church was built in the 1830s. 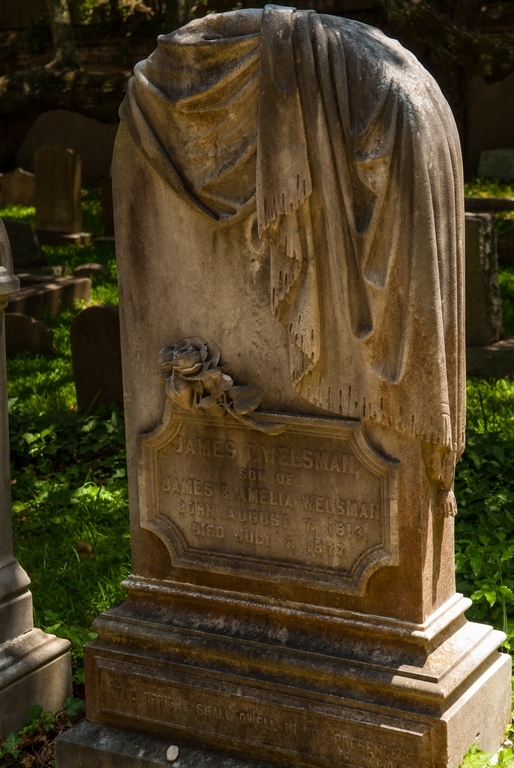 In the cemetery was this elaborate headstone amid the more prevalent plainer ones. The church itself is very attractive. 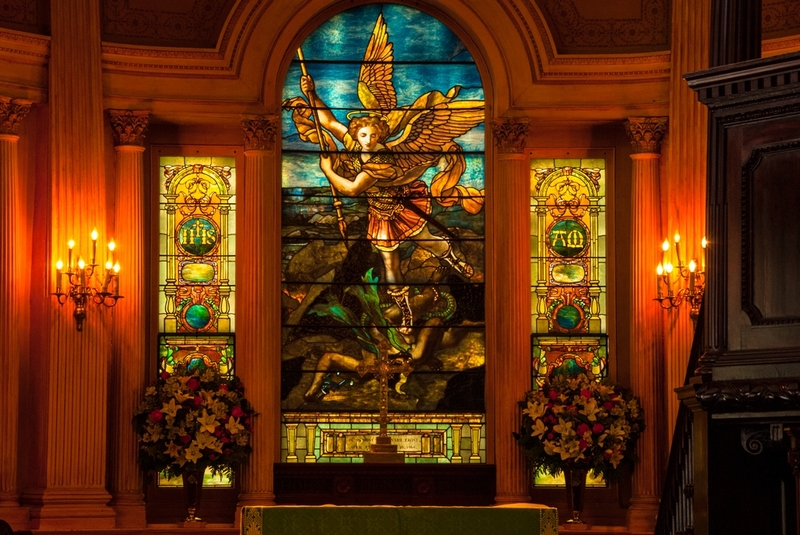 Not to be outdone, St Michael's Church has a plaque that states it is the oldest site, and oldest edifice, for worship in Charleston. 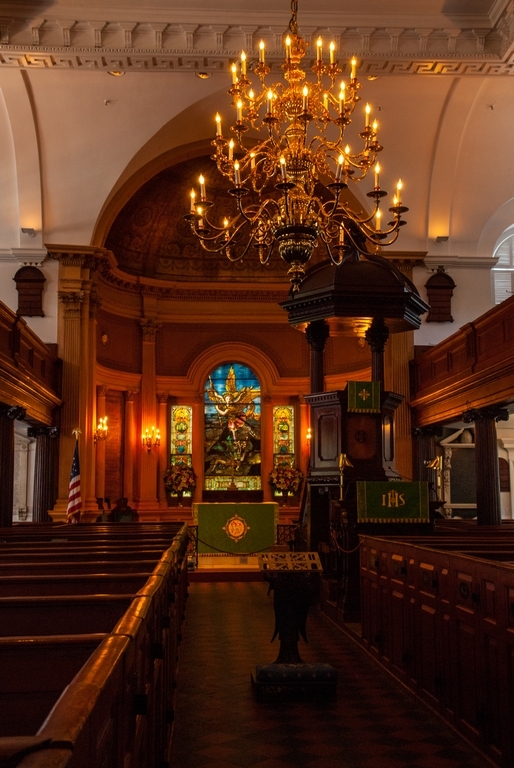 This church is built on the original location of St Philip's, and the current building was constructed in the 1750s. 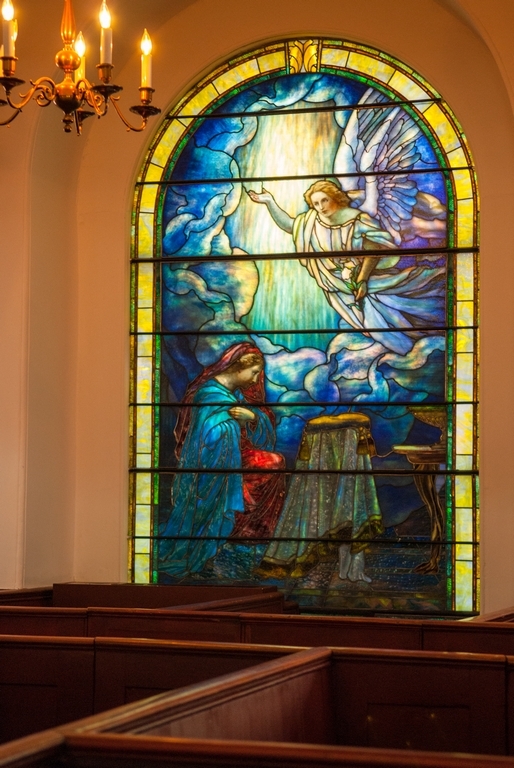 We were able to go inside this church, with its historic style pews and windows. 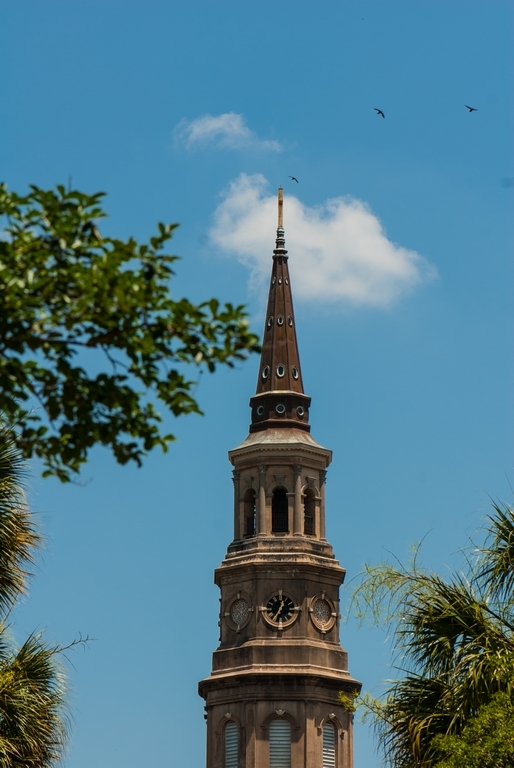 Another lovely church in Charleston is the Cathedral of St John the Baptist. 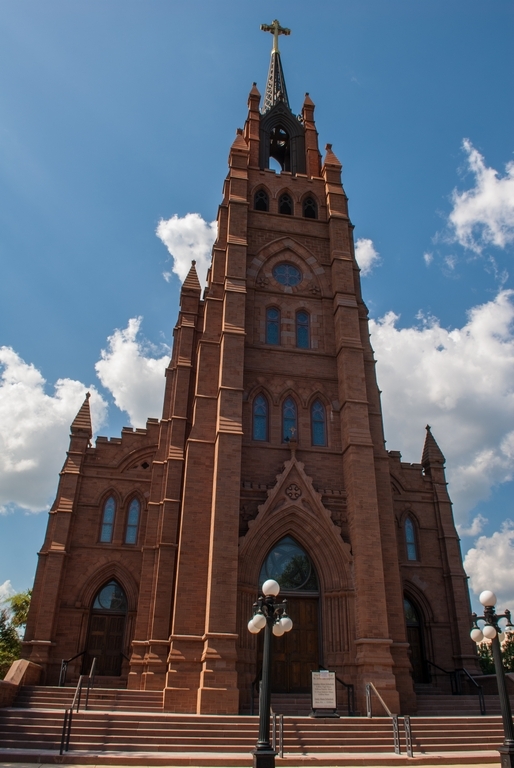 The website details that the 1854 era church burnt, and when the replacement was originally built (1890-1907), due to lack of funds, the impressive steeple and bells were not included. Those were completed 103 years later than originally intended! 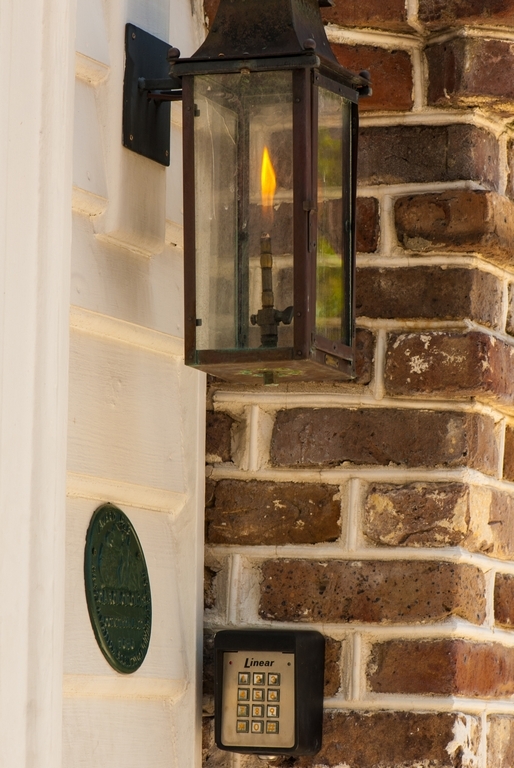 In the full quality picture, you would be able to see a difference in the bricks. The church had stopped just above the upper round stained glass window and arch. At lunch, we encountered a young man who was dressed in Revolutionary-War era garb. He told us that he worked at the Exchange Museum just down the road. So we added that to our list of places to see. 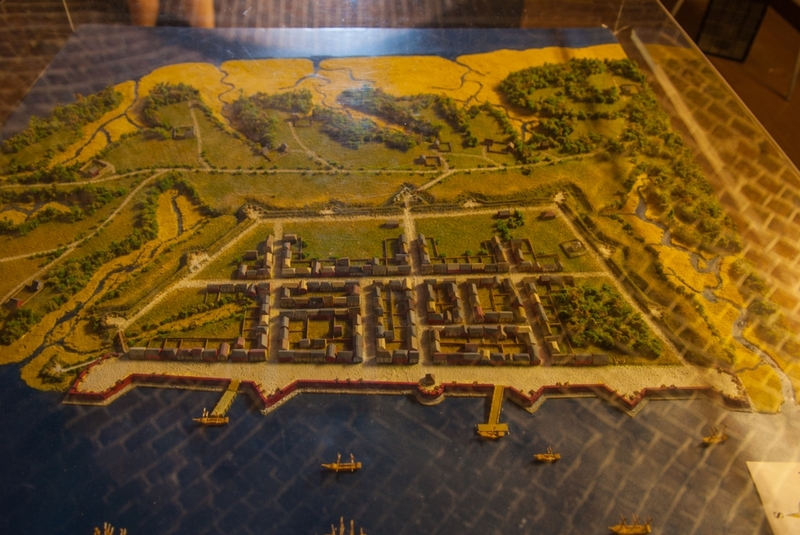 The tour included the prison cells in the cellar, and this nice model of the historic port. Where you see water in the model is now land. 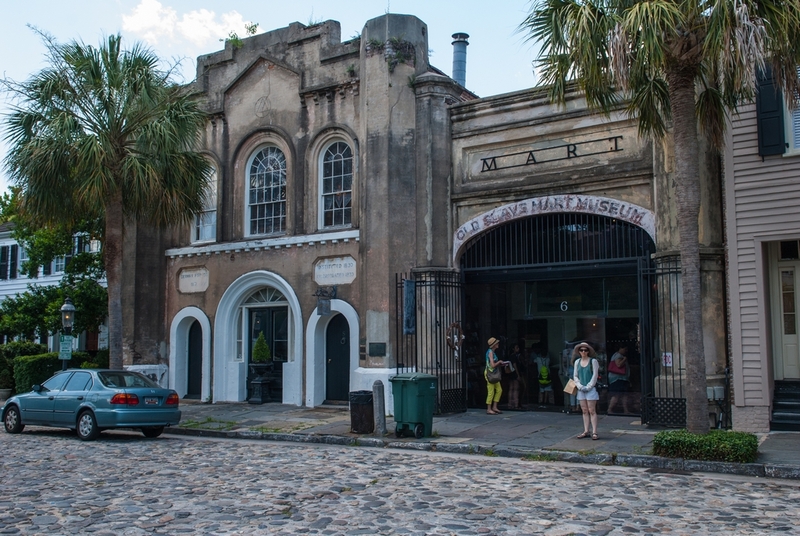 After touring the Exchange Museum, we went to the Old Slave Mart Museum. If anyone thinks slavery wasn't that bad, they need to visit this and other museums like it. Although interesting, Anne thinks the museum needs a good curator to come in; the museum could do much more. The museum is on one of the remaining cobblestone streets. 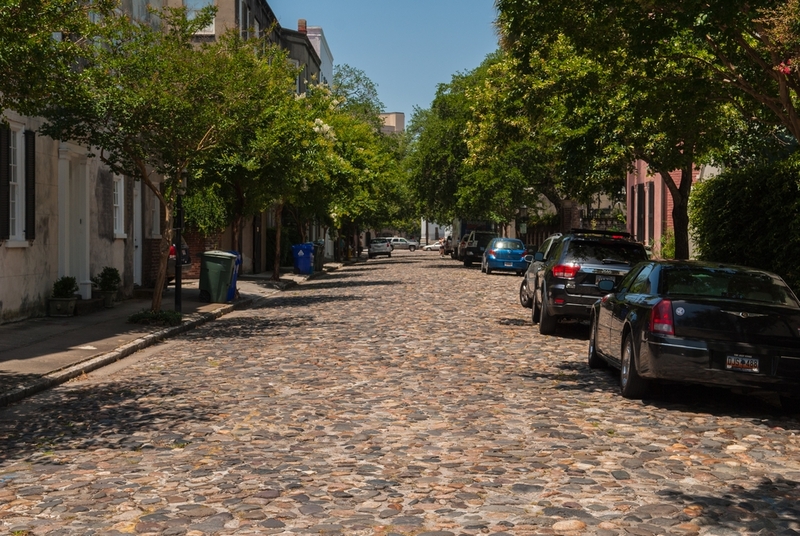 (There are also some brick streets in the city.) Anne is in front of the museum. Her attire (sun hat, light-weight shrug, and sun gloves) is to keep the sun off her skin as much as possible, since she has sun sensitivity. 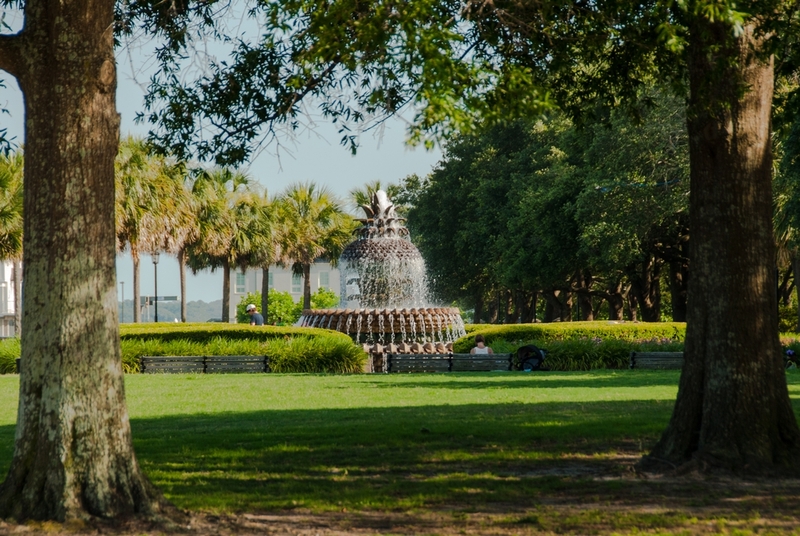 At the Southern tip of Charleston is The Battery and White Point Gardens. 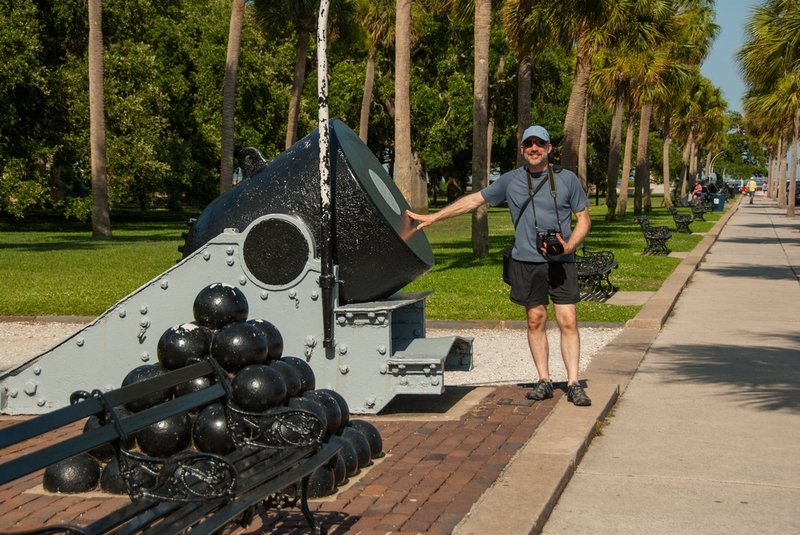 In this little park are some historic 13-inch mortar guns, that were used in the bombardment of Fort Sumter in 1863. You can get a feel for the size with Paul standing next to them. Before we move on to Fort Sumter, Anne wants to be certain you are aware of the only black tea gown in America, at the Charlestown Tea Plantation. She first tried this tea many years ago, and then they ceased harvests for a while until Bigelow took them over. If you can find yourself a box, please try it. The tea has an excellent flavor. Anne is disappointed that we did not have time to tour the plantation during this visit.